The 50 Best Sega Dreamcast Games...Ever! The 50 Best Sega Dreamcast Games…Ever! Let’s take a journey back to 15 years ago—9/9/99. The most anticipated video game console of the entire decade, the Sega Dreamcast, hits the market a few months before the millennium, breaking pre-order records across the globe. It goes on to usher in the next generation of gaming, promoting 128-bit graphics and revolutionizing the industry with its dynamic hardware set. Despite the machine being discontinued in 2001, it’s remained alive amongst the gaming community thanks impart to its stellar gaming lineup. The best arcade ports, groundbreaking exclusives, innovative sports franchises, and treasured fighters—the selection remains stunning to say the least. We all have our favorites. 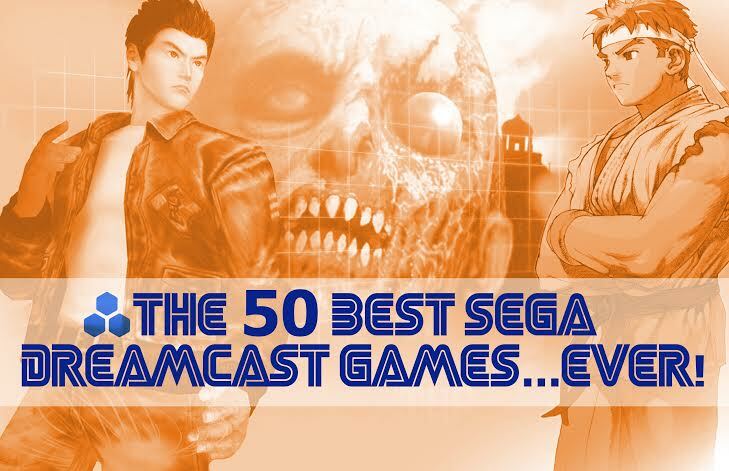 Pay homage and indulge in the nostalgia as we rank the 50 Best Sega Dreamcast Games…Ever! Related: The 100 Best Sega Genesis Games…Ever! Bravo, was happy to see Zombie Revenge on there.